Flipkart, India’s top online retail company, has closed a Series E round worth $200 million from a range of existing investors in what is India’s largest investment in an e-commerce firm. The round saw participation from Naspers-owned investment firm MIH, New York-based Tiger Gobal, Accel Partners and Iconiq Capital. The blockbuster deal takes Flipkart’s total fundraising to around $380 million (some rounds were not fully disclosed and are estimated based on sources). The company says it will use the fresh injection of capital to invest in technology, supply chain automation, training and hiring. There is no confirmation of what valuation that the deal was made at, but it will presumably be higher than the $1 billion valuation at which Flipkart raised its August 2012 Series D round from MIH and others. That round was estimated to have been worth some worth $100 million. Earlier this year the company switched its approach from straight-up sales to a marketplace model which ‘hosts’ merchants and retailers, giving consumer a one-top venue to peruse products. That’s the same route taken by Alibaba, Amazon and Japan’s Rakuten. The company also unveiled a mobile and Web payments solution for merchants last week. It says that a consumer-facing version is in the works and coming soon to help ease pain points and make online retail easier in India. 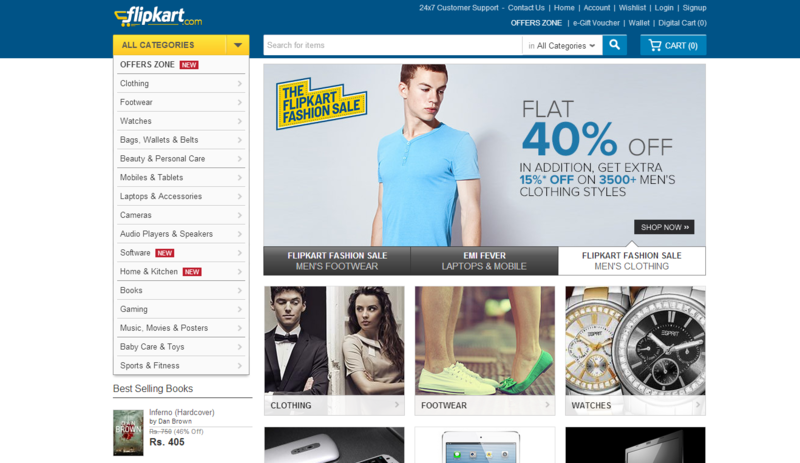 Flipkart’s round is the latest in a series of recent developments that highlight the growth of e-commerce in India. Amazon launched its marketplace service in the country in June, and last month saw Naspers-owned Ibibo pick up transport and ticketing retailer Redbus in an undisclosed deal thought to be worth $135 million.